Is she REALLY a Miko? 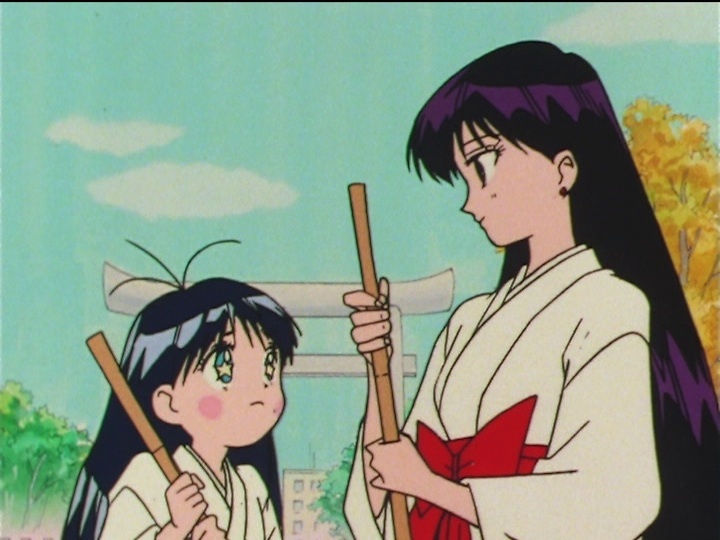 When you think of Rei and her spiritualism, probably the two main images that come to mind are her fire-reading sessions and her ofuda – the paper talismans she throws at enemies (and sometimes Usagi!) to stun then or ward off evil spirits. 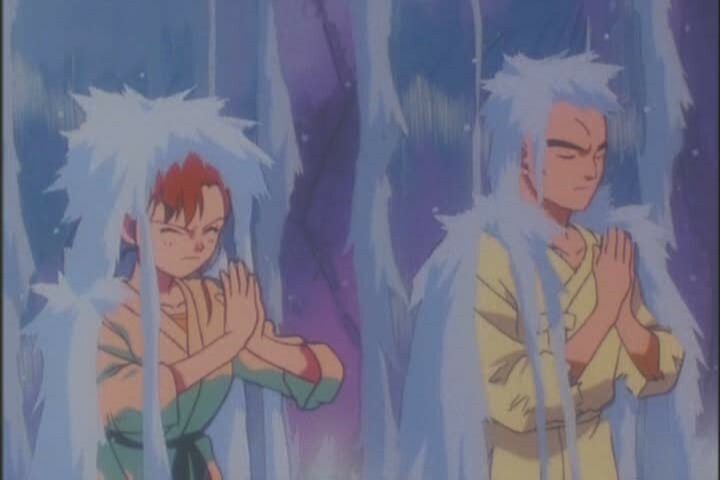 As I’ve previously discussed, fire-reading doesn’t exist anywhere in Shinto., and is more than likely just a “cool” amalgamation of religious imagery added into the series to give Rei more of a mysterious spiritual side. The idea pops up again later with Michiru, who often comments on the sea feeling restless, etc. And the ofuda? Well, they are definitely a thing and there’s even historical precedence1 to throwing them at evil spirits, so we’re okay on that one. However, ofuda are pretty widespread at both Shinto shrines and Buddhist temples, so this isn’t really all that definitive. What I’d like to take a closer look at today is what’s actually written on these scrolls of paper – Rei’s famous aku ryo taisan (悪霊退散; evil spirits, begone). Read also: Why Did Sailor Venus Play the Role of the Moon Princess? … tasks such as keeping track of the calendar, to mystical duties such as divination and protection of the capital from evil spirits. 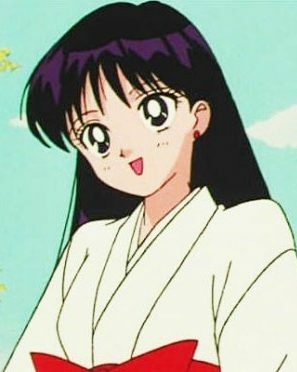 … came to be renowned for their magical abilities and occult knowledge, and were sought out as healers or mediums, although Shinto shrines had traditionally reserved this role exclusively for maidens known as Miko. But, as you probably noticed, the title of this article isn’t whether or not Rei may be a believer of a Shinto offshoot with few-to-no active practitioners. Rather, there’s a hidden Buddhist side to her exorcisms – specifically in her aforementioned incantation. 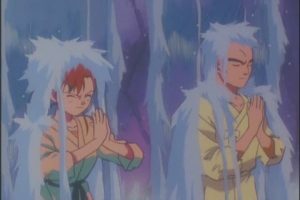 You see, the earliest reference to the incantation aku ryo taisan that I can find can be traced back to a Japanese Noh play titled Dojo-ji,9 named after a Buddhist temple of the same name,10 which dates back to the 14th or 15th century (depending on who you assign credit to for writing it). Read also: How Smart Is Mamoru in the Anime and Manga? 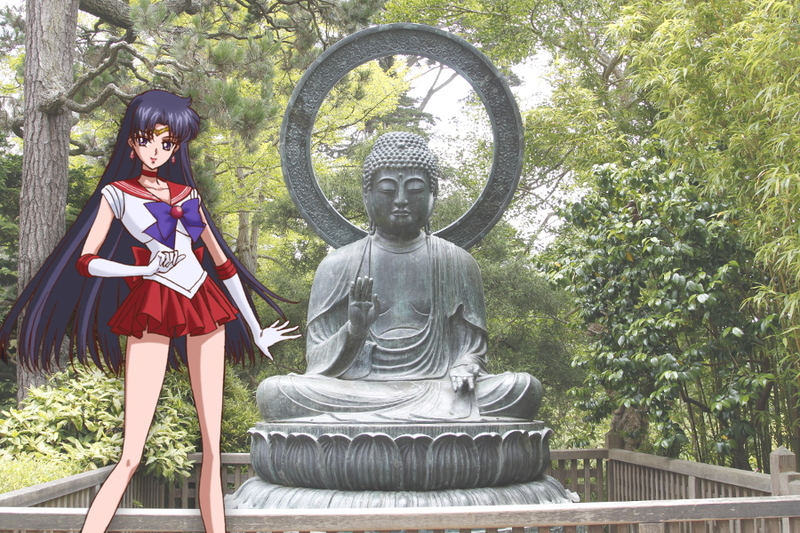 While by no means definitive that this is a purely Buddhist tradition — since there very well may have been uses of the phrase that predate this usage — this is yet another nail in the coffin for just how authentically Shinto Rei is in the Sailor Moon universe. Considering how little the vast majority of people in Japan actually know about the differences between Shinto and Buddhism, things like this are pretty easy to overlook, and actually rather understandable. However, I still find it pretty fascinating just how little of what we associate with Rei actually does come from the religion. ← Did Mamoru Meet Usagi In the Hospital As a Child? Fascinating stuff! Since I’m western I can watch anime and easily pick out inaccuracies and exaggerations in depictions of Christianity; heck it’s kind of old hat. But it never occurred to me that popular anime might be playing just as fast and loose with locally predominant religions too. Makes you think. I guess this sort of thing doesn’t cause a fuss in Japan; I mean apparently it didn’t since this is the first time in all my years of fandom that I’ve ever heard this fun fact. By contrast in America when something purportedly Catholic goofs up on key details you can usually expect a couple prominent columnists or bloggers to point it out. At least entertainment writers to crack some jokes about it… This may be driven by a heightened sensitivity to scandal, or maybe a stronger sense of shared experiences associated with this material. Is this something Japanese Millenials/Gen Xers lacked? I wonder how relevant traditional religion was for late 20th century Japanese…. if even Sailor Mars fudged the details! Regarding why this stuff gets a pass in Japan and no one really seems to care… well, time for me to finally put my degree in Japanese history to good use! In short, Shinto is a religion that celebrates the greatness of life, the fun and excitement of everything. It’s not to fussed with heavy-handed laws or rules (in fact, there are… none). So people like this is a way to celebrate a birth. Christianity is not only what Japanese consider a “modern” wedding, but it also has a deep tradition of marriage being an unbreakable bond and serves as a nice image for promising to god to spend your lives together. Why die Buddhist? Well, Buddhism says that when you die, you’ll either reach Nirvana, or keep coming back until you do. So the long and the short of it is that, basically, the vast majority of people in Japan aren’t religious at all, so don’t really think about the finer details — or even care. As an anecdote, when I was an English teacher, I used to teach to an old woman who was very Christian. Went to church every Sunday, etc. And yet, right up on her mantle was a small Buddhist shrine next to a crucifix.